Yesterday I went to Target for a stick of deodorant, and I noticed they added ELF cosmetics. Of course I got my deodorant and also left with some ELF cosmetics too. I haven’t tried them yet but I’m excited because I have read good reviews on these items. I grabbed a setting spray, an eye refresh treatment, and two eyeshadow brushes. This week I’ll post a more detailed review of these products. I have come to love their eye primer, and lip exfoliator, so, I’m excited to see how these make the grade. 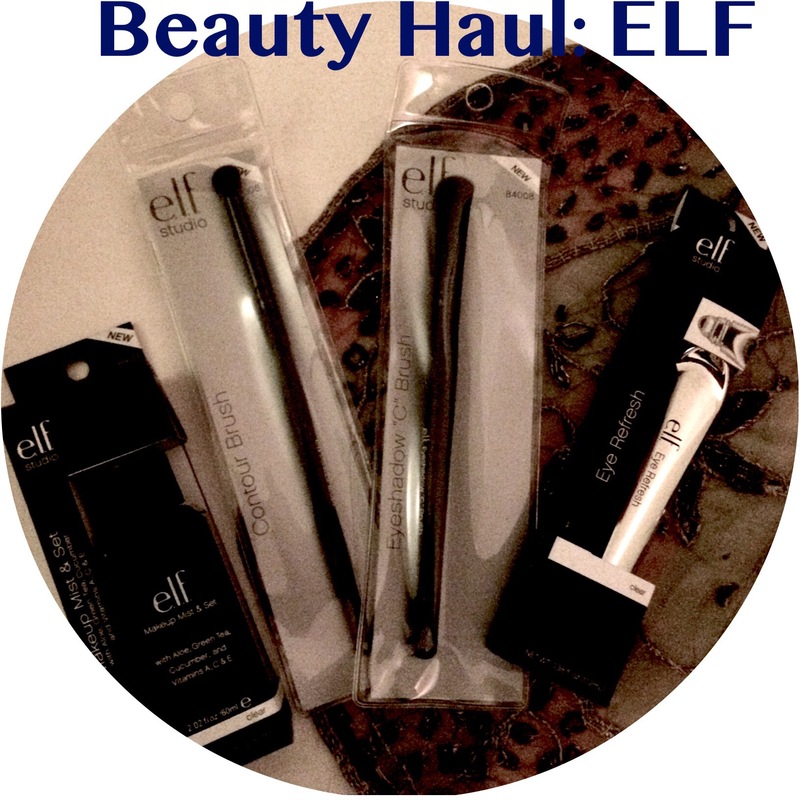 Do you use ELF products? If so, what are your faves? Tips and tricks? I would love to know!!! Nice! I’ll have to try that one! I got a Target gift card for my birthday and used the whole thing to buy ELF makeup. I got their face primer (LOVE IT), some eyeshadow kits, their high def setting powder (it’s amazing!) and the makeup setting spray. I really like everything I have tried by them! How exciting! Sounds like an amazing beauty haul!